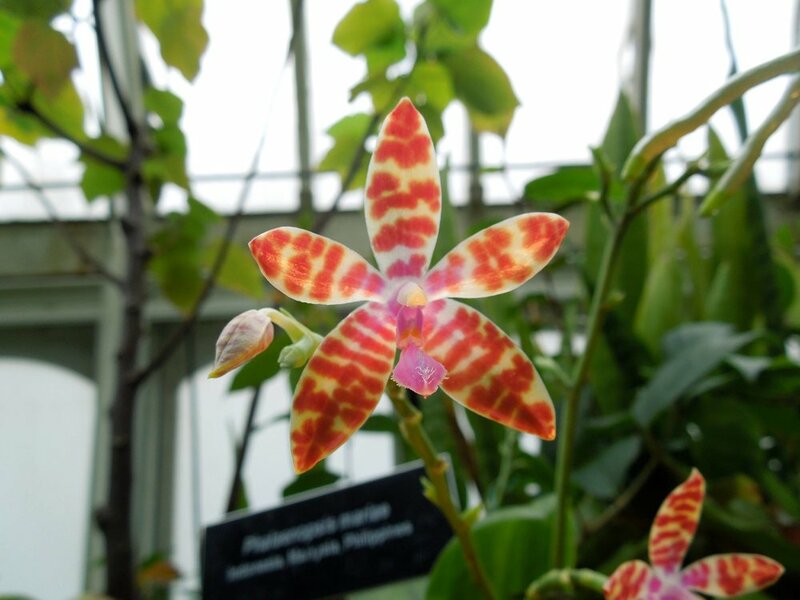 Orchids have conquered nearly every continent on this planet except for Antarctica. In fact, there seems to be no end to the diversity in color, form, and habit of the world's largest family of flowering plants. Still, it might surprise many to learn that some orchids have even taken to water. Indeed, at least three species of orchid native to Latin and North America as well as a handful of islands have taken up a semi-aquatic lifestyle. Most commonly encountered here in North America is the water spider orchid (Habenaria repens). 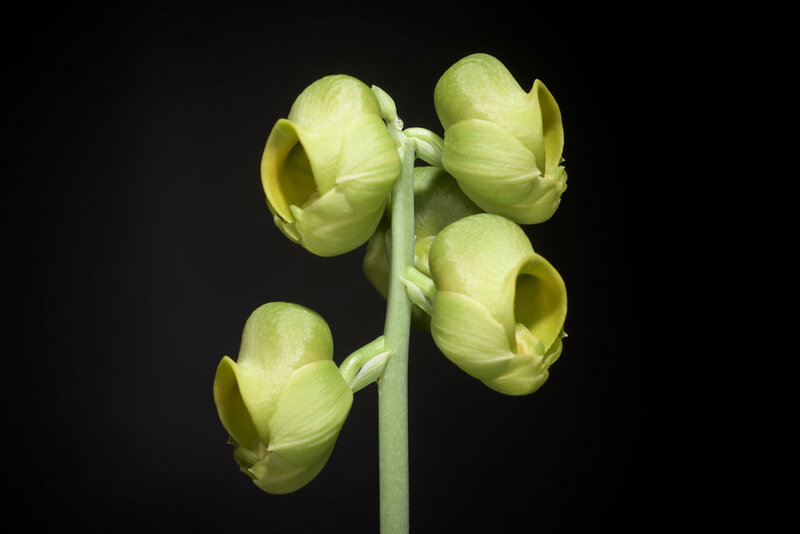 It is a relatively robust species, however, considering that even its flowers are green, it is often hard to spot. Though it will root itself in saturated soils along the shore, it regularly occurs in standing water throughout the southeast. Often times, it can be found growing amidst other aquatic plants like pickerel weed (Pontederia cordata) and duck potato (Sagittaria latifolia). Because it can reproduce vegetatively, it isn't uncommon to find floating mats of comprised entirely of this orchid. Living in aquatic habitats comes with a whole new set of challenges. One of these is exposure to a new set of herbivores. Crayfish are particularly keen on nibbling plant material. In response to this, the water spider orchid has evolved a unique chemical defense. Coined "habenariol," this ester has shown to deter freshwater crayfish from munching on its leaves and roots. Another challenge is partnering with the right fungi. Little work has been done to investigate what kinds of fungi these aquatic orchids rely on for germination and survival. 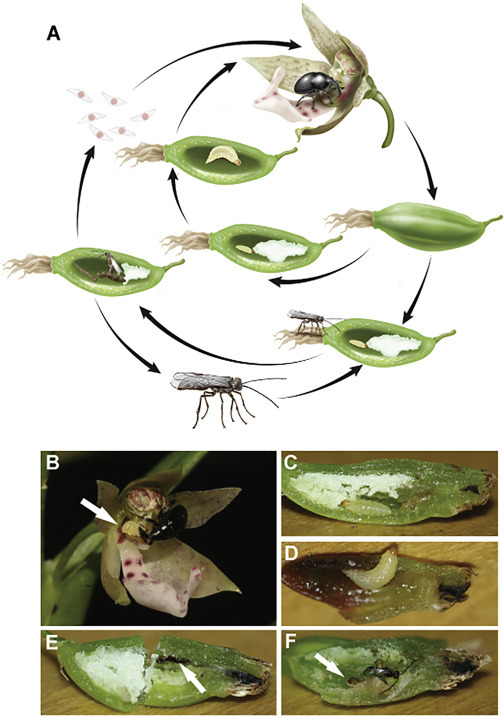 At least one experiment was able to demonstrate that the water spider orchid is able to partner with fungi isolated from terrestrial orchids, which might suggest that as far as symbionts are concerned, this orchid is a generalist. 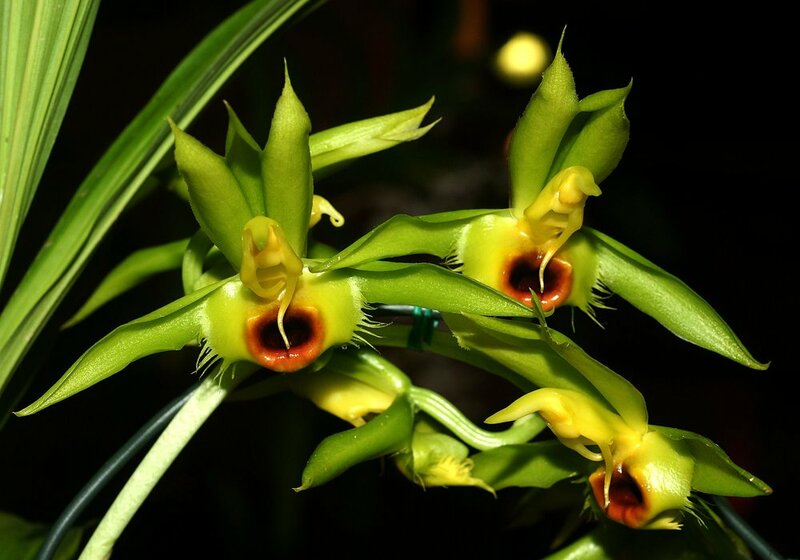 The flowers of the water spider orchid are relatively small and green. What they lack in flashiness they make up for in structure and scent. The flowers are quite beautiful up close. The slender petals and long nectar spur give them a spider-like appearance. At night, they emit a vanilla-like scent that attracts their moth pollinators. When we think of bird pollination, we often conjure images of a hummingbird sipping nectar from a long, tubular, red flower. Certainly the selection pressures brought about from entering into a pollination syndrome with birds has led to convergence in floral morphology across a wide array of different plant genera. Still, just when we think we have the natural world figured out, something new is discovered that adds more complexity into the mix. Nowhere is this more apparent than the peculiar relationship between an orchid and a bird native to South Africa. 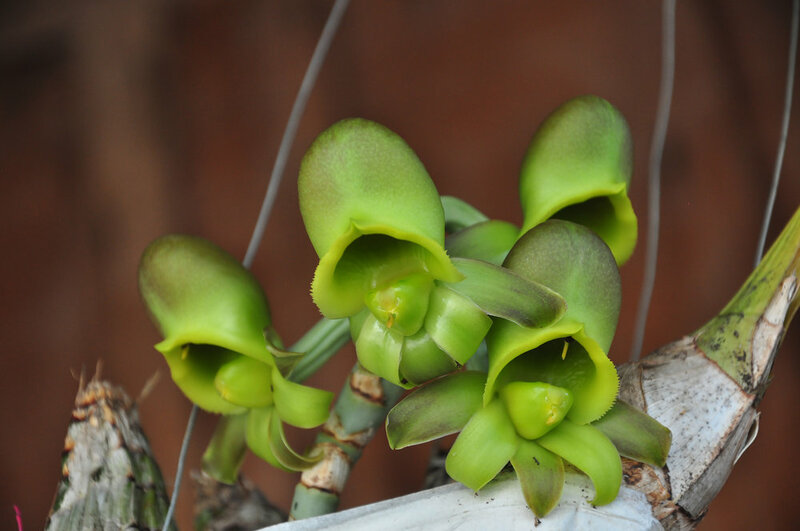 The orchid in question is known scientifically as Disa chrysostachya. It is a bit of a black sheep of the genus. Whereas most Disa orchids produce a few large, showy flowers, this species produces a spike that is densely packed with minute flowers. They range from orange to red and, like most other bird pollinated flowers, produce no scent. Take the time to observe them in the field and you may notice that the malachite sunbird is a frequent visitor. The sunbirds perch themselves firmly on the spike and probe the shallow nectar spurs on each flower. At this point you may be thinking that the pollen sacs, or pollinia, of the orchid are affixed to the beak of the bird but, alas, you would be wrong. Closer inspection of the flowers reveal that the morphology and positioning of the pollinia are such that they simply cannot attach to the beak of the bird. The same goes for any potential insect visitors. The plant seems to have assured that only something quite specific can pick up the pollen. To see what is really going on, you would have to take a look at the sunbird's feet. That's right, feet. When a sunbird feeds at the flowers of D. chrysostachya, its feet position themselves onto the stiffened lower portion of the flower. This is the perfect spot to come into contact with the sticky pollinia. As the bird feeds, they pick up the pollinia on their claws! The next time the bird lands to feed, it will inevitably deposit that pollen. The orchids seemed to have benefited from the fact that once perched, sunbirds don't often reposition themselves on the flower spike. In this way, self pollination is minimized. A close relative, D. satyriopsis, has also appeared to enter into a pollination with sunbirds in a similar way. 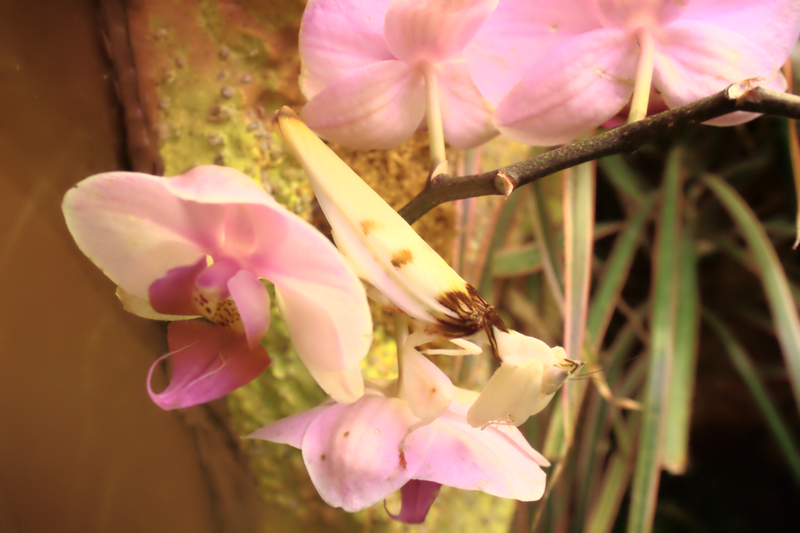 Though it may seem inefficient, research has shown that this pollination mechanism is quite successful for the orchid.The pollinia themselves stick quite strongly so that no amount of scuffing on branches or preening with beaks can dislodge them. Once pollination has been achieved, each flower is capable of producing thousands upon thousands of seeds.